Degas: looking for perspective. Not so easy! Carambole means billiards, touching two balls with own one's. The title chosen by Victor Claass for his article on Degas amateur billiard does not lack perspective since this is what it is here. The two paintings of Degas (2) executed in 1892 underline, unexpectedly, the preoccupations of Degas in this matter. 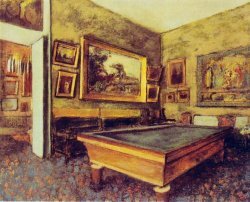 In the center of the paintings, a billiard thrones heavily; the room is adorned with paintings on the walls and recall the interior of the mansion of his friend Paul Valpinçon where Degas comes to stay for some time. Without going into the details of Degas' choices concerning the theories of perspective, we can distinguish his concerns of vertical and horizontal lines that characterize our two paintings devoided of the usual characters in Degas's works. The article of the NRF puts the role of billiards at this time that embodies a bourgeois society "still drawn by Daumier and Caillebotte. If the characters are absent in these paintings, it is different for the pages of his sketchbooks [sic] where are players at work, the bust bent on the carpet". 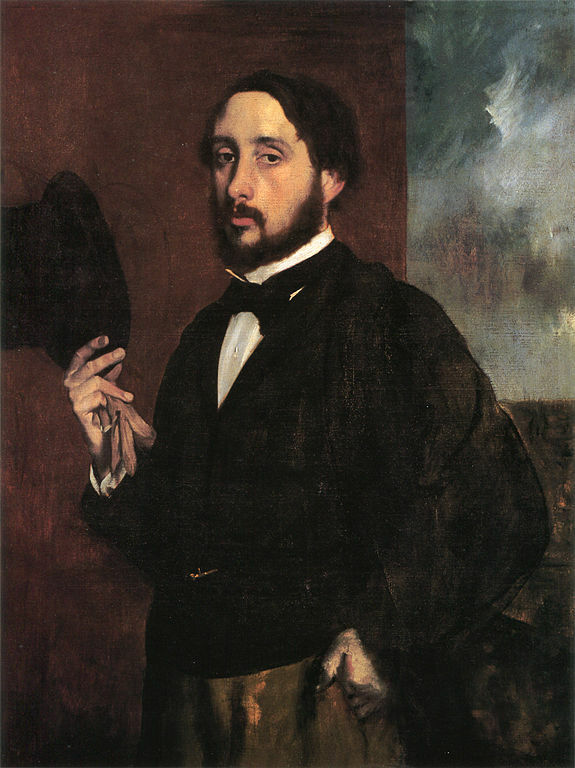 (4) Leading us to believe that Degas was attentive to the lines of human body. Why this unexpected article in the latest delivery of the NRF? The answer is in the last Degas exhibition Degas. Dance. Dessin. held recently at the musée d'Orsay in Paris which reminds us that Paul Valéry published the first version of his project in the 244th NRF issue. This justifies the very relevant article by Victor Claass published today in the NRF. 1- La Nouvelle Revue Française, n° 629, March 1st, 2018. 3- NRF, 2018, p. 85. 4- Idem., 2018, p. 88.